LIMA — Ask a traffic safety expert about the issue behind riding a bicycle against oncoming traffic, and they have a hard time coming up with an answer. It’s not because they don’t have one. It’s because it doesn’t follow some of the basic assumptions of road biking. Like skydiving without a parachute, it’s not a best practice. “For those that understand the rules of road, it just make sense to go with traffic,” Allen County MOVE Safe Coordinator Shelly Miller said. But for some in Lima, biking against traffic has become commonplace, especially in main thoroughfares. A recent pedestrian and bike count undertaken this past May does not record if bikes are moving with the flow of traffic or against, but it has become a concern for safety officials as they’ve seen it happen more frequently. “It’s become common in some areas,” Josh Unterbrink, Activate Allen County co-director, said. Miller suggested that individuals ride against traffic because it forces them to be aware of oncoming traffic. But riding against the flow of traffic effectively skews the understanding of how bicyclists interact with those driving the other way. That muddled understanding forces drivers to guess a bicyclist’s intentions and speed, and sometimes, they make mistakes that lead to potentially fatal injuries. “The impact is going to be a lot greater,” Kent Fultz, owner of Crankers Cycling, said. Fultz said his parents made him bike against traffic when he was growing up, and he had more than a few “close calls”. Fultz said he sees a lot of bicyclists riding against traffic on Main Street and on the sidewalks outside of his business. The rules of the road, however, ask that bike riders move with the flow traffic and that passing cars give three feet of clearance. Part of the problem, Miller said, is that many individuals don’t categorize bicycles as vehicles alongside your standard four-wheeled automobile. Instead, they treat the two-wheeled conveyance as a special type of ultra-fast pedestrian. The inherent misunderstanding creates problems, and the county has been making efforts to correct the idea. 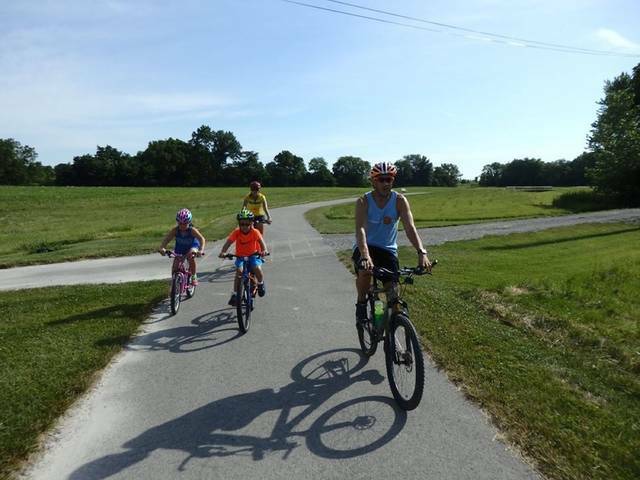 Miller’s Allen County MOVE Safe program was created this past year to educate Allen County residents about the proper way of driving around bicyclists and pedestrians. Miller said the majority of the campaign has centered around social media, but experts have also met with police officers to train them on how to act when seeing individuals actively engage in illegal use of bicycles. The additional training encourages officers to stop bicyclists riding against traffic and on sidewalks and educate them about the rules of the road. Miller said the interaction is meant to be positive, as officers are invited to lead with a compliment before explaining proper procedure. Miller said the amount of interest in bicycling has been on the rise. Some ride bikes as a recreational activity. Others are forced to ride because of lack of access to automobiles, due to either the cost or because they are legally barred. But the reason why someone is on a bike doesn’t mean riders or drivers get to disregard safety rules. Miller said one of the most important educational tips MOVE Safe hopes to communicate to the larger public is the need for awareness for everyone using the road. Another concern other than riding against traffic is bikers speeding along sidewalks, routes reserved for pedestrians, Miller said. While it may be fine for those under a certain age, by the time someone is approaching their teenage years, they should be able to drive on the roads.